This was my view for several hours on Wednesday. Beautiful. 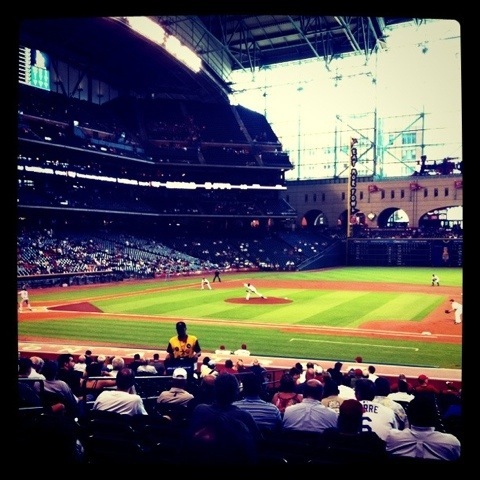 I love baseball and I love to be at the ballpark. I was blessed with the opportunity to be there twice this week! It is one of those places where my body and mind relax right when I walk through the gates. Great childhood dreams and memories rush back with the innocence they contained.